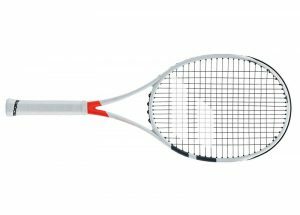 The Pure Aero Lite is perfectly suited for players looking for the perfect combination of lightness, maneuverability, and spin, as well as junior players transitioning to an adult racquet. 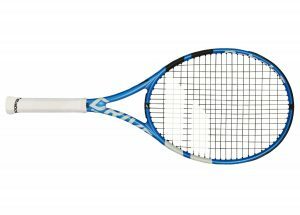 THE ULTIMATE SPIN: a new generation of racquets that create massive spin with even more stability and precision. – Aeromodular: integrating bumper and grommets and an optimized design to increase racquet head speed. – FSI Spin: an open string pattern for ultimate spin. Oblong snapped SPIN GROMMETS built at 6/12 o’clock increase spin with wider string interaction. Thanks to longer contact time between the ball and the string, the WOOFER SYSTEM offers a maximum of spin with great feeling and superior control and comfort. – Cortex Pure Feel: Powered by Smac: Better vibration dampening thanks to a new material integrated in the graphite of the racquet that provides and incredible sound and a pure feel. 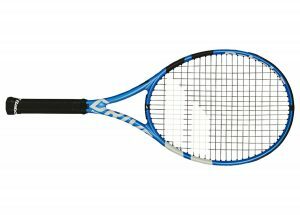 – CPLY CARBON stabilizer: Added in the core of the racquet, the new generation of high performance carbon fibers will make every shot more precise and more stable at impact. Developed by our partner at Chomarat.